News about Playtech casinos and software | Get the most recent updates! 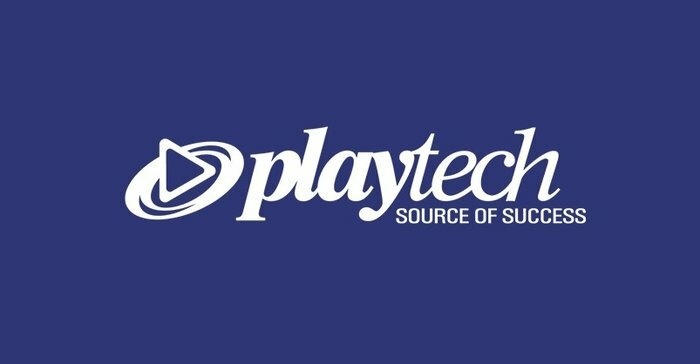 Playtech is a software company which has been around for quite a few years. It is actually nowadays a FTSE-250 company listed on the stock exchange, and have acquired other gaming companies like Ash Gaming along the way – not bad for a company founded in Estonia back in 1999! They now have offices in various other countries including even Ukraine, so are clearly bringing jobs and prosperity to benighted areas as well. They have a hand in the land-based business, but naturally here we’re referring to Playtech slot games and other online games. They’re a company which is at the forefront of innovation as well – at the time of writing they were in the news for having just launched a marketing tool – so you always know you are in for an exciting time with Playtech! Playtech’s online slots have made their mark in recent years, in particular with tie-ins. These include the fun Who Wants to be a Millionaire, thehilarious Little Britain, Monty Python’s Spamalot (ditto) and various superhero games from the Marvel stable including Hellboy and The Fantastic Four. However Playtech casino software developer is noted for other types of games as well. They have a sportsbook component, Poker rooms, as well as associated tools and add-ons to make the internet gaming world tick over as well as it does today. Incidentally, Playtech hasn’t completely dodged the vicissitudes of the market. For instance the Marvel marriage is not set to last – since being acquired by the family-friendly Disney, the axe has been hanging over that line of games, but we are confident that Playtech will continue to go from strength to strength in their slots. Also, Playtech saw a great dent in its share performance after the ‘Black Friday’ crackdown on online Poker in the US saw an effective end to that sector in the US, although it is slowly creeping back – but again, we feel that Playtech have it in them to bounce back – and they indeed have been doing so with their iPoker network and its huge prizes. Playtech software, then, is hugely original and breathtakingly novel in a whole load of different spheres so it will be interesting to see how the little company founded in Estonia continues to grow. There are a lot of Playtech casinos out there, so it’s difficult to strictly identify the best Playtech casino. However, any casino which carries a lot of their games, or even exclusively their games, are well worth a visit. Bet365, Paddy Power, Winner and Betfair are certainly on the list of great sites and carry all the major titles. Of course you need to be careful – there are a few sharks out there who are only out to relieve you of your money, so you need to check back regularly with this site to ensure you are gaming safely. We vet all the casinos we list to ensure they have the best licensing authority, privacy, online security, games selection, bonuses and more, and the best Playtech online casinos will tick all of the boxes here as well as providing, for instance, Free Play, which as its name suggests allows you to play Playtech slots and other games for play money to give you both the chance to try out the games and the casino site itself, without committing yourself to anything. Since they are such a burgeoning company, Playtech slots will continue to be added to the gaming selections of new casinos as we have suggested. Whilst the same caveats apply to the new casinos as they would to existing ones, if you stick with our site you won’t go far wrong in picking a good one. Also, a new casino which launches using only Playtech games will have the added advantage of starting from scratch and not having to change to meet the proclivities of the product, as well as being able to focus on giving the best of possible services to players. One final area which you need to know about is that of the various promos available both for Playtech games and online casinos in general. This is something which amounts almost to Playtech free slots – and takes two main variants. Firstly, if you sign up to a Playtech-using casino you will often be able to pick up a Welcome Bonus. This will usually take the form of 100% bonus money on your original deposit, up to a certain limit (which can be as high as NOK3,000 or more) although wagering requirements restrictions will apply. They do offer similar bonuses at other times of the year, including for 2nd, 3rd and 4th (or even more) deposits as well as seasonal promos at special times like Christmas or Valentines. The best Playtech casinos will always have some variant of the above, as well as sometimes a loyalty program which will reward you for playing at the casino regularly, for instance with Free Spins on select games. This brings us to the final major category of promos – Free Spins are effectively free turns on Playtech slots (far more unusually, on table or other types of games) which you needn’t make a deposit in order to take advantage of, but if you do get a win, the money is yours to keep, and with Playtech games there’s a great chance of netting something like that!